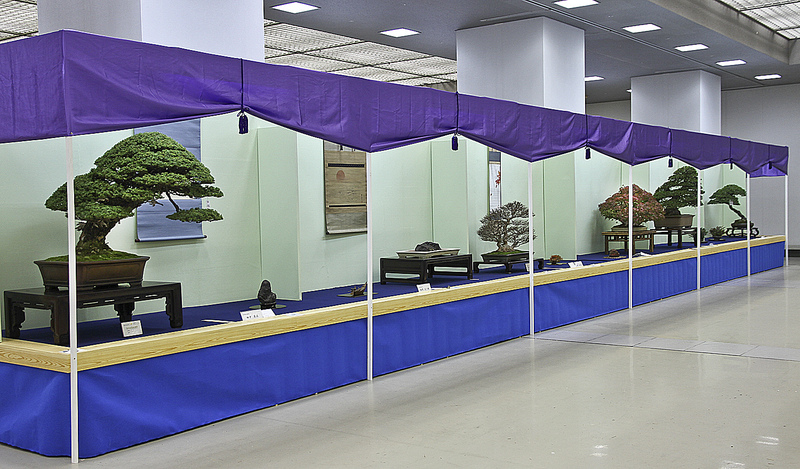 Thursday was judging day for the Taikan Bonsai Exhibition. Julian Adams and I first went with the tour to visit the Ryoanji Temple, where I caught him selecting seed. 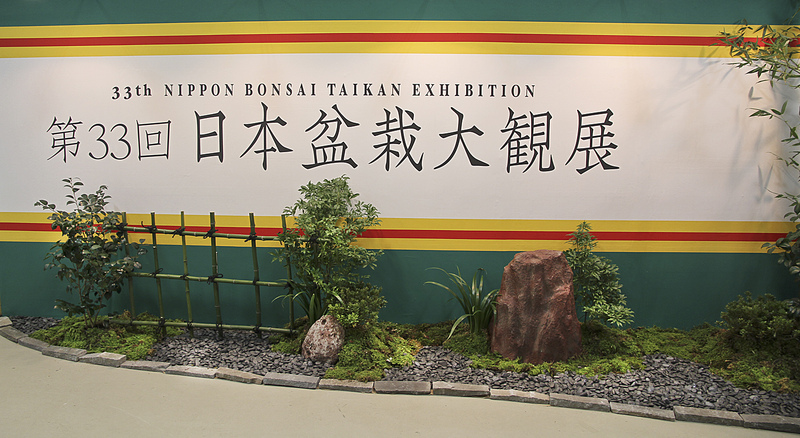 We then took a taxi to the exhibition. 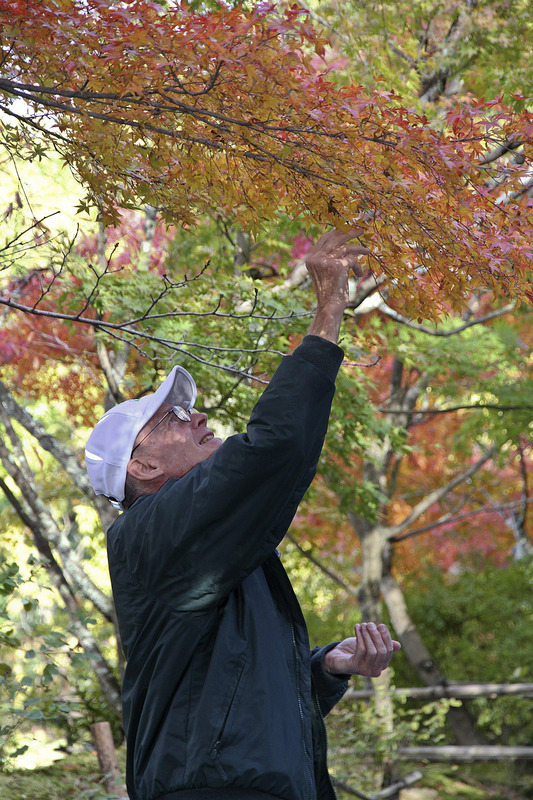 Julian Adams picking ripe seed from small leaf Japanese maples. 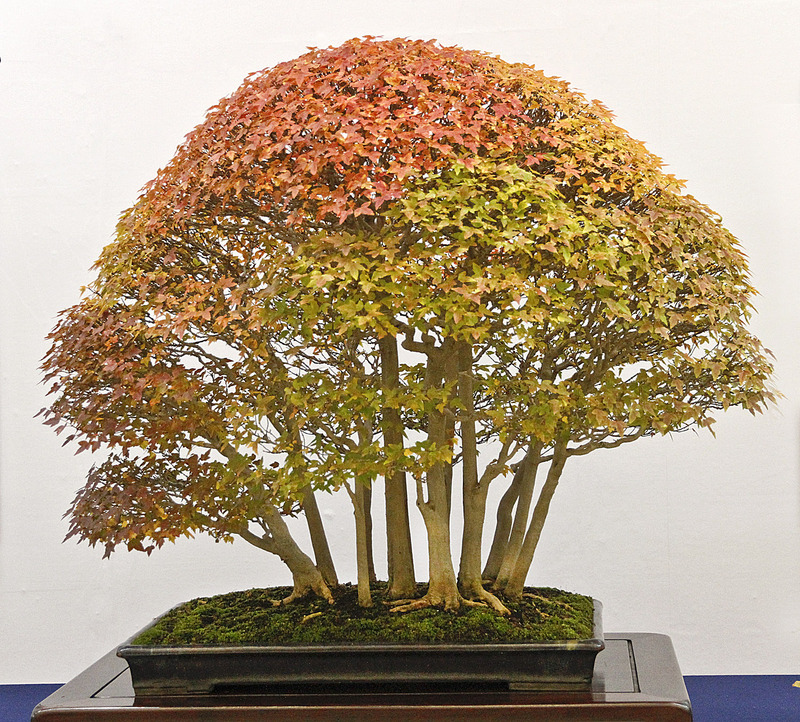 All the vendors were busy setting up their trees, containers, supplies, suiseki and other items necessary for the creation, maintenance and appreciation of bonsai. 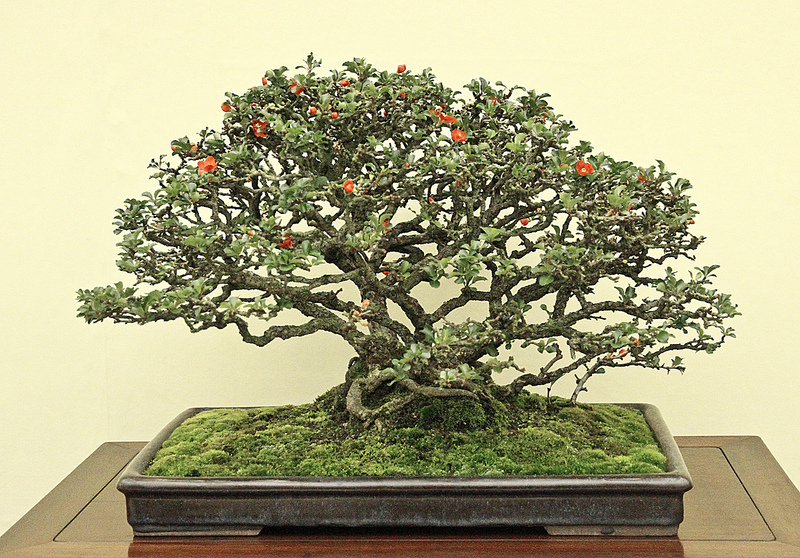 I saw Kenji Oshima, son on Mikio Oshima and congratulated him for winning the Prime Minister Award for the upcoming Japan Creator’s Bonsai Exhibition in early December. 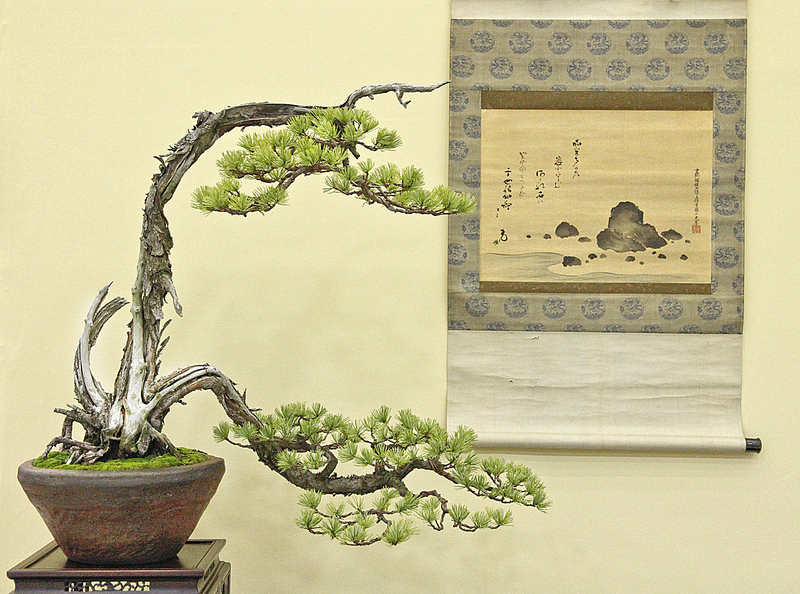 He was proud of a special display of one of his client’s trident maple bonsai. 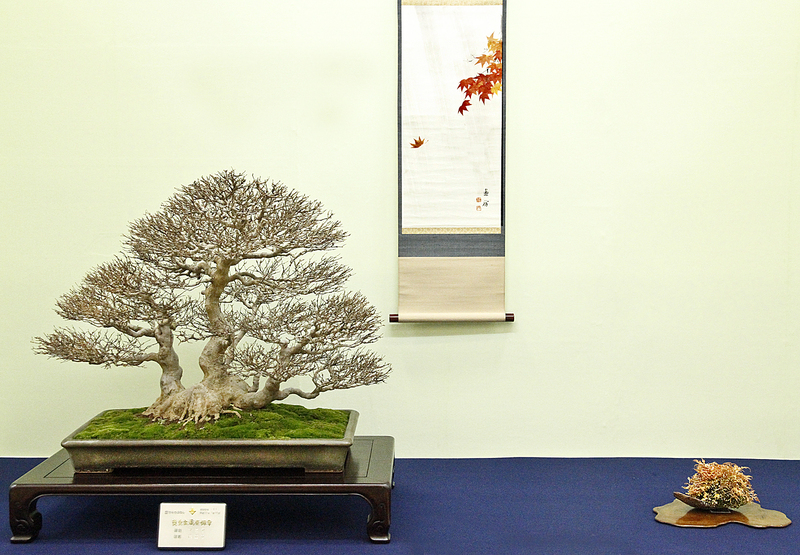 Award winning bonsai artist, Kenji Oshima, Meiju-en Bonsai Garden in Okayama in front of his client’s display of Trident maple bonsai. 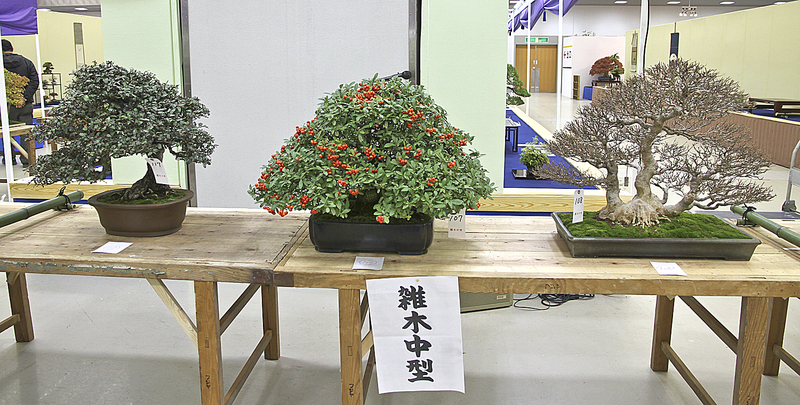 The first round of judging the bonsai was to select the finalists for the award selection. Tables were set up down the center of the main aisle. 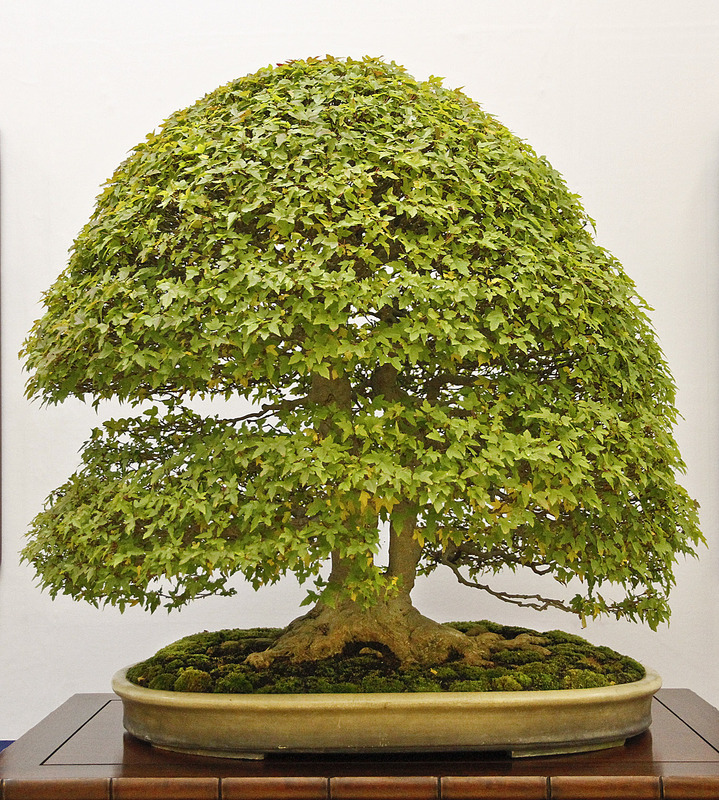 There were sections for the large, medium and small size evergreens, large, medium and small deciduous species, large, medium and small satsuki, rock plantings, group plantings, literati, shohin bonsai and suiseki. 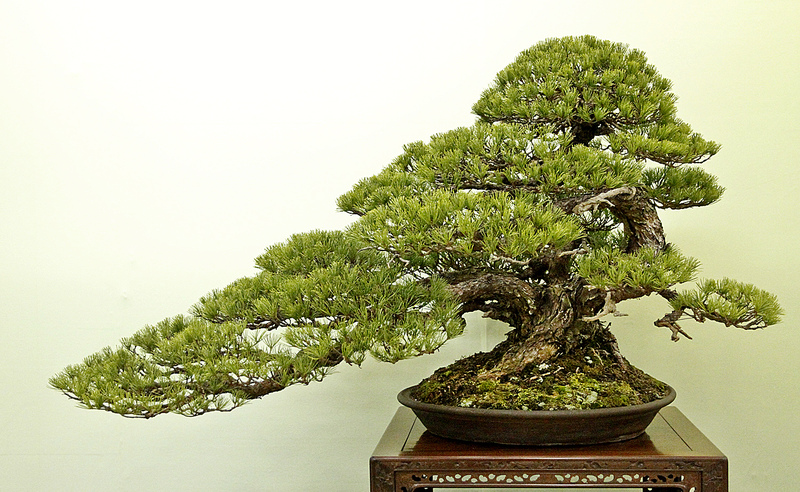 Large evergreen bonsai ready for award selection. 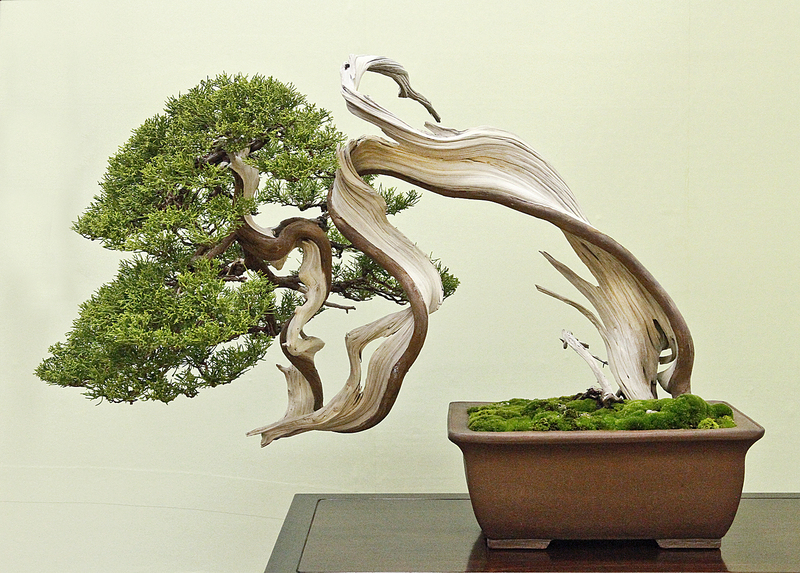 Medium size deciduous species bonsai. Judges making their selection and voting. 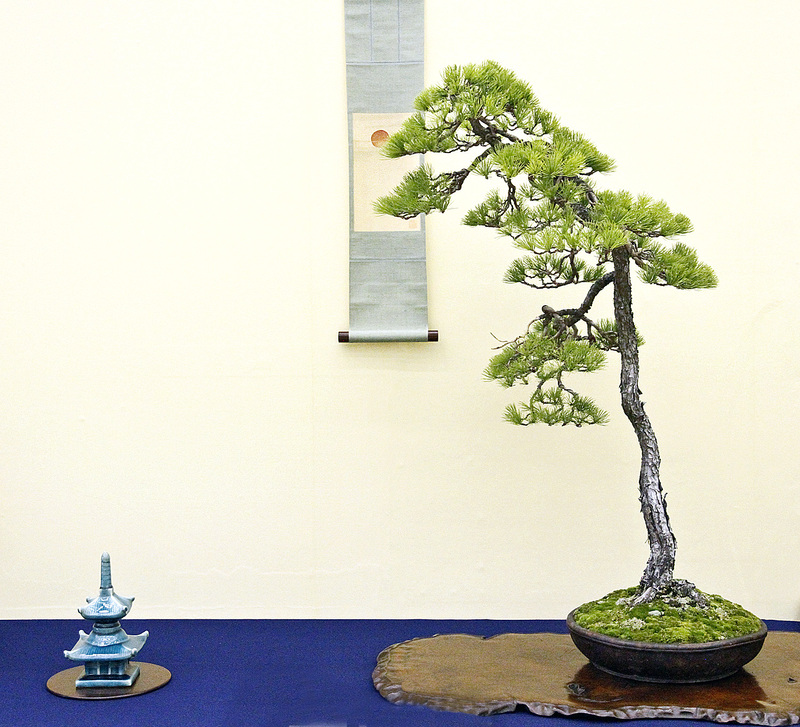 All of the bonsai selected for evaluation were beautiful and the judges had a difficult time selecting the award winning masterpieces. In fact, there was a tie for the Prime Minister Award. 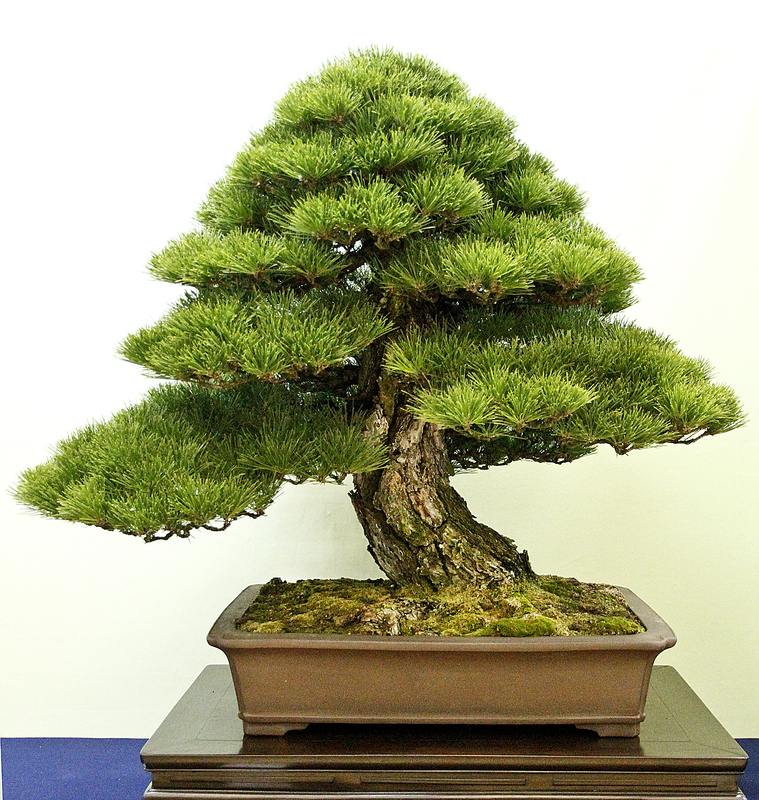 I was next to Mr. Kimura as the two large pines he displayed for his clients won the Prime Minister and next prize. 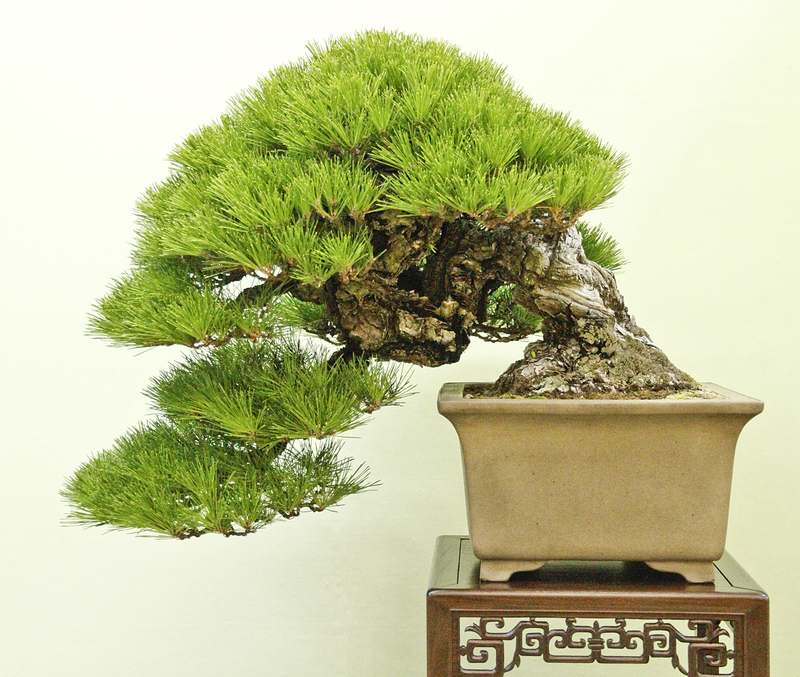 As he predicted, the judges liked the interesting multiple trunk style Japanese five-needle pine better than the quiet informal upright style Japanese black pine. 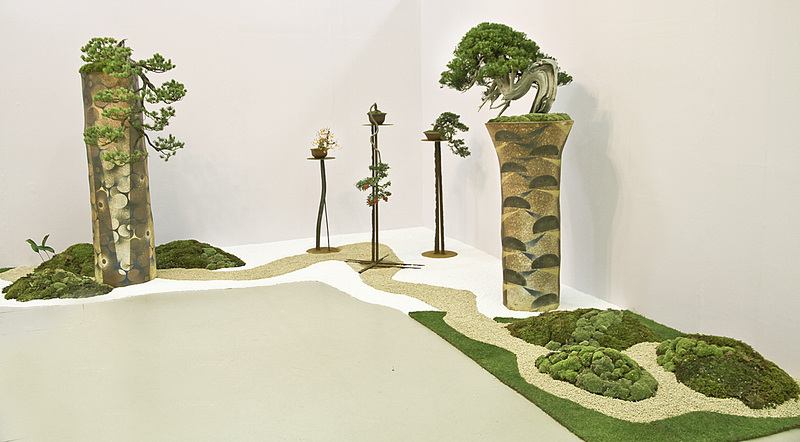 Enjoy the photos, more will be forthcoming after the exhibition officially opens tomorrow. Thanks for the great photos Bill!! !